Whilst we do offer short trial lessons, a much better-value alternative is to take a Go For Gliding Course. This consists of 6 winch launches, or 3 winch launches with extended soaring flights, or a combination of both. The instruction will be more intensive, and a full briefing on gliding and the theory of flight will take place before you take to the air. Day Courses must be booked in advance. If you are seriously thinking about taking up gliding or want more than a brief “taster”, then a Go For Gliding Course is recommended. A full three calendar months’ temporary club membership is included in the price of the Course, so you may return again within that time and fly at club rates. Gliding is very much a co-operative sport where everyone helps each other. 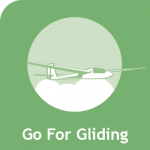 If you want to participate in these general activities during your Go For Gliding Course, please speak to your instructor who will brief you. Your flying tuition will be in one of the club’s two-seater gliders with a British Gliding Association qualified instructor, who will give you a full briefing before take off. This is a superb deal! For only £184.00 you can have 3 months membership and flying time of around 1 hour including winch launches. Can you confirm that you received a call from our Office please Billy? What does the day course consist of and timings please? Hi Kate, sorry for the delayed response. 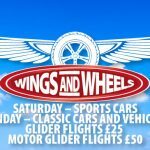 A day course will consist of a series of winch launches totalling approx one hour of hands-on flying tuition, interspersed by numerous briefings and classroom tuition. Please call us if you require further information. I wish to buy a Day course but the phone message refers me to Lynn’s number and the message there says ‘I will be back in one week.’ AS I don’t know when she left the message I don’t knpw when that is! I want to buy the course as a Christmas Present for my son and prefer to pay by card but the payment site always sends me to pay pal. Could someone get in touch please? Hi John, our Secretary Steve Jones will call you regarding the payment process. We’re sorry for the PayPal confusion but they seem to have changed their merchant requirements without telling us! Yes, this course will be an excellent present for your partner’s 40th and it will be at Wormingford. Hi Alastair, I can confirm your purchase on the 7th and have forwarded your question to our sales secretary who will contact you directly regarding the voucher. Thanks, Den.